Adam Meyer – SurfWatch Labs, Inc. The physical damage from Tropical Storm Harvey is expected to spread further in the coming week as the storm continues to move along the Gulf Coast. At least 10 people in Texas have been killed related to the storm, local officials said, and the continuing rainfall could total as much as 50 inches in some areas by the end of the week. On Monday, a day after Louisiana Gov. John Bel Edwards called on the federal government for assistance, President Donald Trump declared a state of emergency in Louisiana. Texas Gov. Greg Abbot described the storm as “one of the largest disasters America has ever faced,” and FEMA administrator Brock Long said the agency is gearing up for the years-long recovery process that will follow. Naturally, people want to help the victims with that recovery process, and scammers are already capitalizing on that goodwill to defraud individuals and carry out other malicious activity, several agencies have warned. SurfWatch Labs also noted in a recent customer alert that we have observed hundreds of new domains being registered containing “harvey,” many of which will likely be used for scams related to the storm. SurfWatch Labs alert on Hurricane Harvey scams. and social media posts designed to entice users to either visit a malicious site, download malware, provide personal information, or perform acts that will earn the fraudster money. Fake videos like this one observed by Malwarebytes following the disappearance of a Malaysian Airlines flight are often spread via social media and lead to surveys that harvest personal information or earn affiliate cash for the scammers. Never click on links or open attachments unless you know who sent it and what it is. Malicious email attachments and links are among the most common ways for cybercriminals to spread malware and steal information. Never reply to emails, text messages, or pop-ups that ask for personal information. Cybercriminals may use a combination of fraudulent emails and phone numbers to increase their appearance of authority. Always verify that communication is valid by contacting the organization directly before providing any sensitive information. If donating to a charity, make sure it is one you know and trust. The FTC recommends checking out charities via the Better Business Bureau’s (BBB) Wise Giving Alliance, Charity Navigator, Charity Watch or GuideStar. 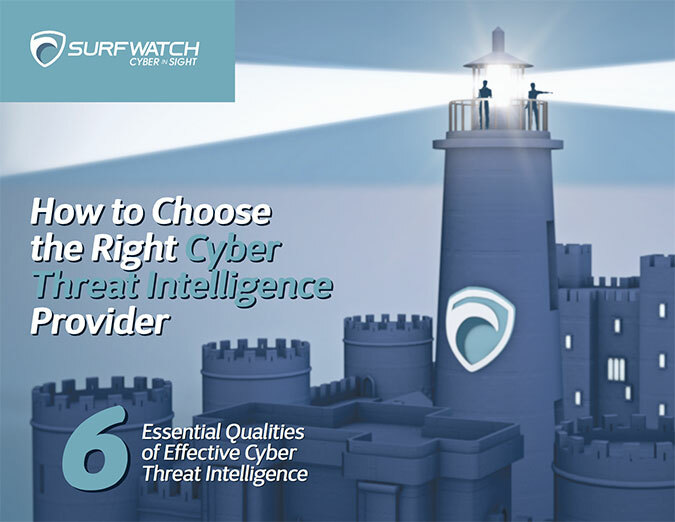 A few weeks ago, our team at SurfWatch Labs released its mid-year threat intelligence report, which largely focused on how leaked exploits have helped to fuel cybercrime over the first half of the year. While the leak of exploits and hacking tools is not new — 2016’s surge of IoT-powered DDoS attacks were propelled by the release of the Mirai source code, for example — several high-profile global attacks leveraging leaked exploits in 2017 have helped to once again push the conversation to the forefront. At the heart of that conversation is a group known as TheShadowBrokers. TheShadowBrokers is best known for its April 2017 release of stolen NSA exploits such as EternalBlue, an exploit that was leveraged, along with other leaked exploits, into May’s outbreak of WannaCry and June’s outbreak of NotPetya. At this point, it remains unclear exactly how the sensitive hacking tools and exploits were stolen from the NSA, although investigators are pursuing several theories. 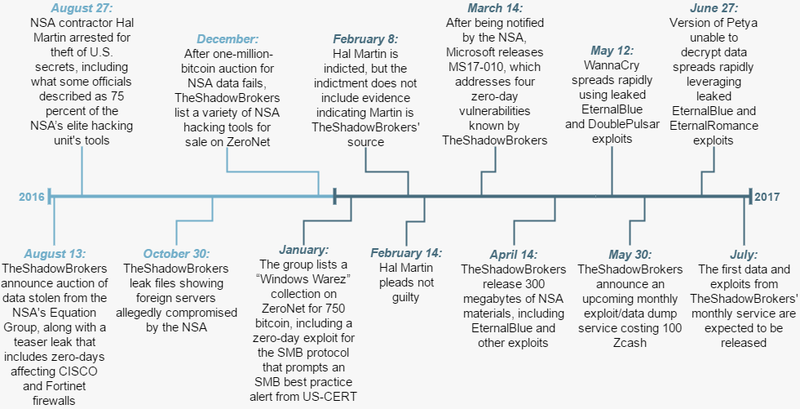 What is clear is that multiple individuals were in possession of that data — including NSA contractor Harold T. Martin III, who was arrested two weeks after TheShadowBrokers announced its auction of NSA tools. Although officials have not linked TheShadowBrokers and Martin, both of them were in possession of stolen NSA tools. Martin’s lawyer said that Martin’s intention was to use the data to get better at his job, not to ever release it. That is not true with TheShadowBrokers, who appear to enjoy toying with the media and have used the publicity around the WannaCry and NotPetya attacks to promote its new monthly exploit service. What’s in TheShadowBrokers’ Monthly Exploit Service? TheShadowBrokers claim to have released two sets of data dumps related to its monthly service so far — one for June and one for July — and each month they have continued to jack up the price of the data. The June dump sold for 100 ZEC (Zcash) or 500 XMR (Monero). The July dump sold for 200 ZEC or 1000 XMR. The upcoming August dump is selling for 500 ZEC or 2000 XMR. At today’s prices, that equates to more than $121,000 worth of Zcash or $101,000 worth of Monero for the August dump. Naturally, security researchers and organizations would like to know if the exploits and other data being released by the group is on par with EternalBlue, something less worrisome, or an elaborate troll job — but that’s a hefty price to pay a malicious actor just find out. TheShadowBrokers ripped me off. I paid 500 XMR for their “Wine of the Month Club” and only they sent me a single tool that already requires me to have a box exploited. A tool, not even an exploit! The tool also looks to be old, and not close to what theShadowBrokers said could be in their subscription service. 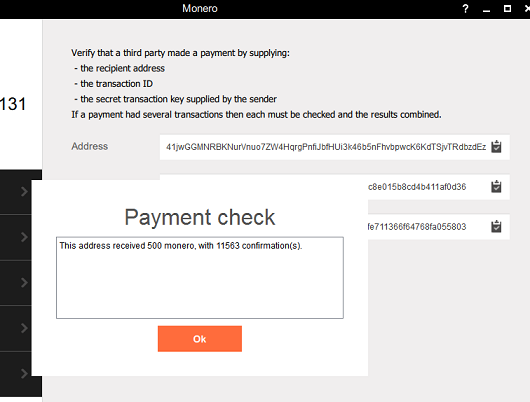 An anonymous researcher that has been attempting to track Monero transactions associated with TheShadowBrokers, who posts on Steemit under the name “wh1sks,” later verified that “fsyourmoms” did, in fact, send 500 XMR to TheShadowBrokers’ June monthly dump address. Image from “wh1sks” on Steemit. The same researcher has confirmed that TheShadowBrokers likely received three Monero payments for its June data dump (including “fsyourmoms”) and two Monero payments for its July data dump. “We know that TSB received no more than 2000 XMR [for its July dump],” the researcher wrote last week, although it is possible the group sent itself transactions to make it appear as though sales were occurring. July is being good month for TheShadowBrokers Monthly Data Dump Service, make great benefit to theshadowbrokers. … Due to popular demand theshadowbrokers is raising prices for August to 500 ZEC or 2000 XMR. TheShadowBrokers is also accepting Zcash, which cannot be tracked using the same methods as Monero. Therefore, it’s unclear how many transactions have been made using Zcash, and its possible that a larger number of users may have purchased the group’s data dumps. If we take “fsyourmoms” at his or her word — who is the only individual to have publicly confirmed a purchase from TheShadowBrokers, as far as I can tell — we know that the June dump contained only one tool, but we don’t know what that tool even was. Was it worth more than $20,000 worth of cryptocurrency? At least one buyer says no. It remains unclear what was in the July dump, and what will be included in the upcoming August dump. A lot remains unanswered when it comes to TheShadowBrokers, but it appears likely that other users have purchased or will purchase TheShadowBrokers’ data dumps. That means more dangerous tools and exploits could make their way into the hands of malicious actors in the near future, which is bad news for organizations. As we noted in our mid-year report, the impact of these leaked tools and exploits is often more dangerous and has a longer-lasting effect than perhaps any other type of cyber incident. 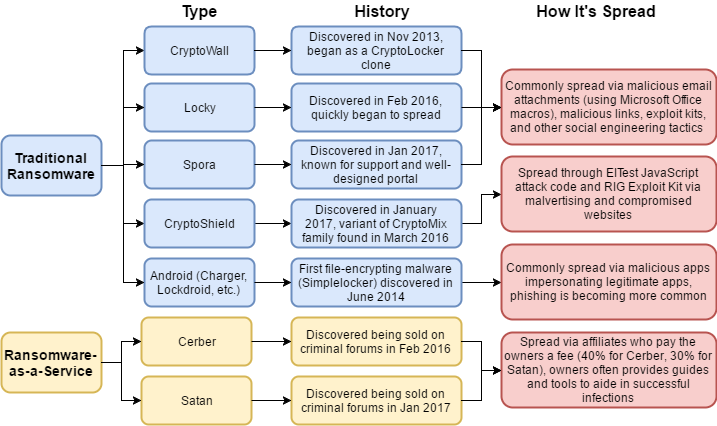 Malicious actors are continually fine-tuning their tactics, and one of the best examples of this is the evolution of ransomware. Ransomware has largely been an opportunistic, rather than a targeted, form of cybercrime with the goal of infecting as many users as possible. That model has worked so effectively that extortion is now ubiquitous when it comes to cybercrime — so much so that even fake attacks are proving to be successful. As I wrote earlier this month, the surge of extortion attacks impacting organizations has led to a number of fake extortion threats, including empty ransomware demands where actors contact organizations, lie about the organization’s data being encrypted, and ask for money to remove the non-existent threat. Cybercriminals like to follow the path of least resistance, and an attack doesn’t get much easier than simply pretending to have done something malicious. However, attacks over the past year have proven that infecting organizations with ransomware can result in much higher payouts. The more disruptive the attack, the more money some organizations are willing to pay to make the problem go away. As a result, ransomware actors are shifting their targets towards more disruptive attacks, which we examine in our latest report, Ransomware Actors Shift Gears: New Wave of Ransomware Attacks Aims to Lock Business Services, Not Just Data. A quick look at some of the ransomware mentioned in SurfWatch Labs new report. It was just 13 months ago that Hollywood Presbyterian Medical Center made national attention by paying $17,000 to decrypt its files after a ransomware attack. The incident was novel at the time, but those types of stories have since become commonplace. On November 25, 2016, an HDDCryptor infection at the San Francisco Municipal Transportation Agency led to the temporary shutdown of ticketing machines and free rides for many passengers, costing an estimated $50,000 in lost fares. On January 19, 2017, a ransomware infection of the St. Louis Public Library computer system temporarily halted checkouts across all 17 locations and led to a several-day outage of the library’s reservable computers. On January 31, 2017, a ransomware infection in Licking County, Ohio, led to the IT department shutting down more than a thousand computers and left a variety of departments – including the 911 call center – unable to use computers and perform services as normal for several days. In February 2017 at the RSA Conference, researchers from the Georgia Institute of Technology presented a proof-of-concept ransomware that targets the programmable logic controllers (PLCs) used in industrial control systems (ICS). In short, if actors understand what is most valuable to an organization and can find a way to effectively disrupt those goals, they can find success in yet-to-be targeted industries. It may require more legwork, but the higher potential payouts may make it worthwhile for some actors to engage in less widespread but potentially much more profitable attacks. Government agencies, consumer services, educational institutions, healthcare organizations, and more have all had services disrupted by ransomware over the past six months. In addition, just last week, researchers discovered a new ransomware family, dubbed “RanRan,” that doesn’t even ask for money. Instead, the ransomware attempts to force victims “to create a public sub-domain with a name that would appear to advocate and incite violence against a Middle Eastern political leader.” The malware is described by the researchers as “fairly rudimentary” and there are a number of mistakes in the encryption process, but it serves as an example of how malicious actors that are not financially motivated can nevertheless leverage ransomware to achieve their goals. Organizations need to take action to protect themselves against ransomware actors that are trying to find more effective ways to disrupt business operations and demand even higher ransom payouts. For more information on these evolving ransomware attacks, download SurfWatch Labs’ free report: Ransomware Actors Shift Gears: New Wave of Ransomware Attacks Aims to Lock Business Services, Not Just Data. While new initiatives by the Internal Revenue Service (IRS) are making it harder for cybercriminals to successfully file fraudulent tax returns, those measures have not slowed down the theft of employee W-2 information this year. Another actor expressed concern over new verification codes to be included on 50 million W-2 forms during the 2017 tax season — up from two million forms using the codes last year. “My guess is if this is successful, then within 2 years it will be on every W2,” the actor wrote. An actor in a tax fraud discussion thread speculating that the verification codes used on some W-2 forms may become more widespread in the future. The IRS has partnered with certain Payroll Service Providers this tax season to provide a 16-digit code designed to help verify the accuracy of millions of W-2s. However, as the IRS noted in its announcement, the verification rollout is only a test and “omitted and incorrect W-2 Verification Codes will not delay the processing” of returns filed this year. Other more tangible efforts to combat tax fraud include the IRS holding any refunds claiming the Earned Income Tax Credit or the Additional Child Tax Credit until February 15 to provide more time to verify the accuracy of returns, and the requirement of an individual’s date of birth and previous-year’s adjusted gross income when using tax software for the first time. Some states also ask for additional identification information, such as driver’s license numbers, in order to file their returns. Additional anti-fraud efforts have come largely because of the large volume of fraudulent tax returns filed each year. Over the first nine months of 2015, the IRS confirmed that 1.2 million fraudulent tax returns made it into the agency’s tax return processing systems. Attempts to combat the massive amount of fraud resulted in 787,000 fraudulent returns over the same period in 2016 — a nearly 50 percent drop. It’s too early to say how 2017 will fare in terms of the number of fraudulent returns and the total cost to the IRS. What is clear is that cybercriminals are continuing to target tax-related information such as W-2s despite those changes — and they’re having great success. As I’ve noted in other articles, cybercriminals follow the path of of least resistance and most profit. While cybercriminals face more resistance than in the past, their motivation, opportunity and capability are clearly still there. 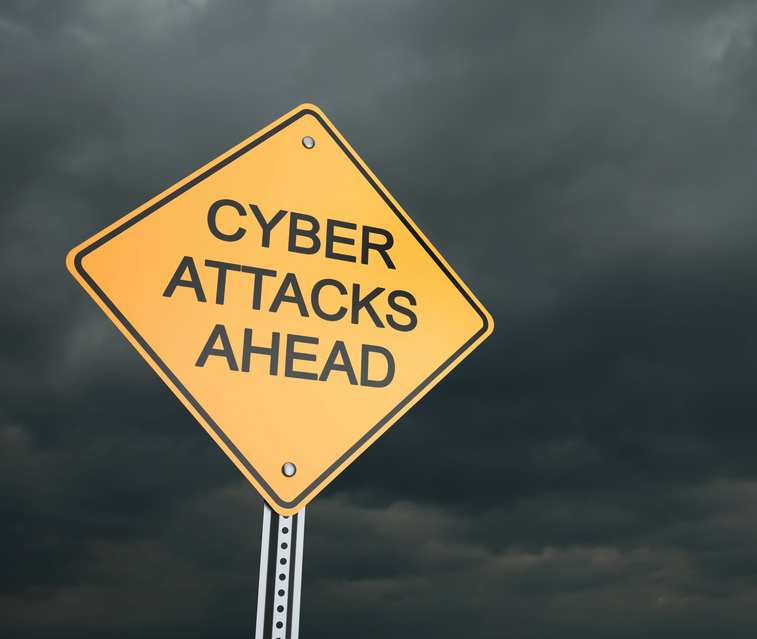 Tax-related cybercrime is cyclical, and cyber threat intelligence around the subject peaks around this time every year. However, this past February was the most active month in terms of the volume of data SurfWatch Labs has collected around tax fraud since May 2015, and that spike in 2015 was due to a large amount of threat intelligence data surrounding the theft of taxpayer information from the IRS’ “Get Transcript” service. The amount of SurfWatch Labs’ tax-related cyber threat intelligence data peaked in February (data through March 6, 2017). Much of the recent data directly relates to phishing incidents that have resulted in the theft of employee W-2 information. As we wrote in a blog early last month, malicious actors are using the same simple but effective phishing tactics that led to last year’s wave of successful W-2 thefts. This week we saw the number of organizations that have publicly confirmed breaches due to W-2 phishing surpass 100 for the year, and that number does not even include the numerous organizations that had W-2 information stolen through other means, such as data breaches or incidents at tax preparation firms or payroll providers. 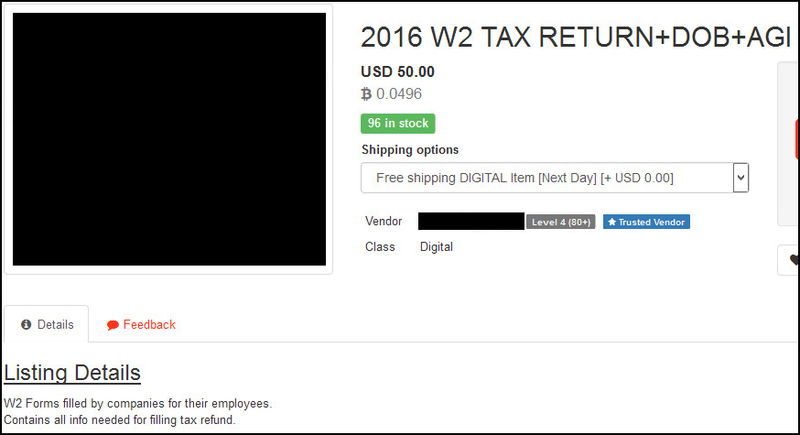 That stolen W-2 information is then used to file fraudulent tax returns, commit other forms of identity theft, or sold on various dark web markets for around $10 each. That can translate into a decent profit for a cybercriminal actor who can successfully dupe a handful of payroll or human resource employees into handing over hundreds — or thousands — of W-2 forms at a time. 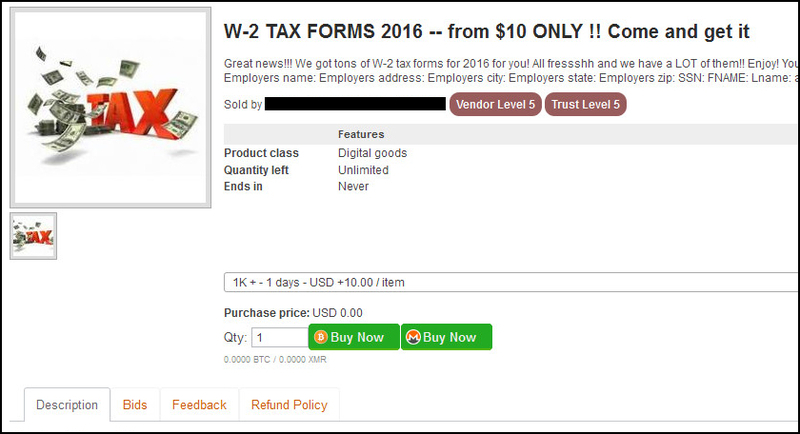 A vendor from AlphaBay says they have “tons” of stolen W-2 tax forms for sale for only $10 each. But as we noted above, W-2 forms are now only part of the information needed to successfully dupe the IRS. Many returns will also need information such as the individual’s date of birth and previous year’s adjusted gross income. That information can be harder to come by, and how to best obtain that information is one of the key discussion points on the cybercriminal forums observed by our analysts. “How do I get to know the AGI [Adjusted Gross Income]?” one actor asked the group in a discussion thread on a dark web forum. Another actor, who claims to have gone solo this year after previously being part of a group engaged in tax fraud, said information such as AGI generally requires other forms of data collection or social engineering. “You’ll have a tricky time getting it,” the actor warned. Later, the actor advised that AGI can often be found in an individual’s car note or home loan documentation. An actor responding to previous posts about finding AGI figures, as well as the value of targeting 1120S corporate tax forms. In a separate thread, the same actor wrote a long post that is part inspirational pep talk to wannabe fraudsters frustrated by the recent changes, part FAQ on how to best perform tax fraud. We won’t share the full details of that post here (including details such as which financial institutions and methods work best for receiving fraudulent tax return payments), as this post is meant to help illuminate the thought process of cybercriminals, not to serve as a walkthrough on how to successfully commit tax fraud. Nevertheless, the section on how to find an individual’s AGI is worth noting due to the lengths the actor claims to go — and may now need to go — in order to pull off a successful season of tax fraud. The actor explained, “For everyone I targeted, I started researching them 6 months ago” by looking through public data for things like birth announcements (to “add that baby child credit”) or for minor offenses such as driving under the influence (to find people who have jobs “in the good bracket” that are also more likely to be “one of the last minute tax filers”). An actor offering advice on how to scout targets for tax fraud. That extra legwork is why listings on dark web markets that include information such as AGI tend to sell at much higher prices than those without. For example, the listing below, which “contains all info needed for filing [a] tax refund,” was priced at $50, five times the price of a listing selling only stolen W-2 information. A listing on the Hansa Market selling W-2 information along with the victim’s date of birth and the previous year’s adjusted gross income. These discussions indicate that efforts made by the IRS, financial institutions, and others have made the practice of filing fraudulent tax returns more difficult for cybercriminal actors. Despite those efforts, a number of tax-related breaches continue to occur and a great deal of effort continues to be made by malicious actors to successfully bypass those protections and steal a slice of that lucrative tax pie. I’ve previously written about the rise of extortion as an emerging trend for 2017, but if you didn’t want to take my word for it, you should have listened to the numerous warnings shared at this year’s RSA 2017. Cyber-extortion has become one of the primary cybersecurity-related issues facing organizations — and it appears to be here to stay. My analyst team has researched cyber extortion and have found that malicious actors are not only engaging in these threat tactics, but they’re using the surging popularity of extortion and ransomware to target organizations with a variety of fake extortion demands and empty threats. We cover this topic in depth in our latest report, The Extortion Epidemic: Fake Threats on the Rise as Ransoms and Blackmail Gain Popularity. In the graphic below I’ve noted some popular extortion threats, how actors carry out the threats and the impending results. Essentially they’re following the path of least resistance and most profit. 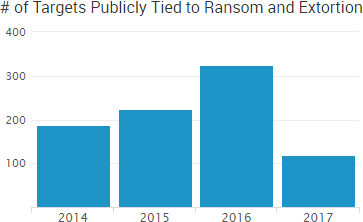 The number of organizations publicly associated with ransom and extortion continues to grow, and 2017 is on pace to see the highest number yet, based on data from the first two months of the year. 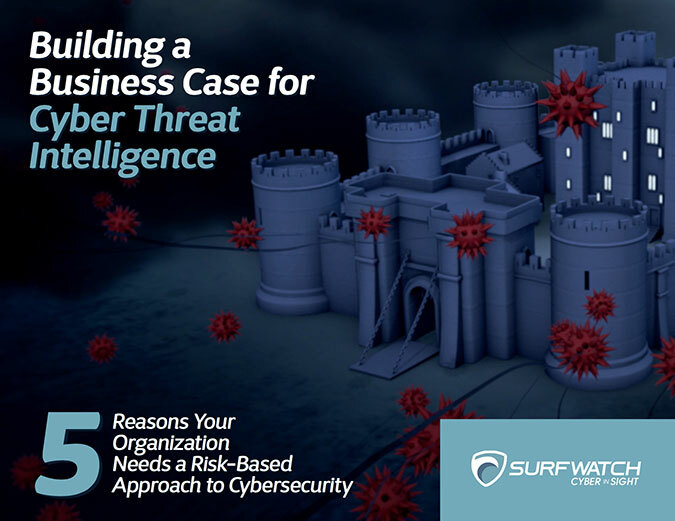 The gist of it all is that organizations have real fear around these threats and trust that bad actors have the ability to carry out these threats. Putting trust in bad guys is a bad idea! The fake ransoms are successful in large part because their real counterparts have impacted so many organizations. We’re already on pace to have more organizations publicly tied to ransoms and extortion in 2017 than any other year. FBI officials have estimated the single subset of extortion known as ransomware to be a billion-dollar-a-year business, and fake ransomware threats have sprung up in the wake of that growth. A November 2016 survey of large UK businesses found that more than 40 percent had been contacted by cybercriminals claiming a fake ransomware infection. Surprisingly, two-thirds of those contacted reportedly paid the “bluff” ransom. DDoS extortion threats are similarly low-effort cybercriminal campaigns, requiring only the sending of a threatening email. Earlier this month, Reuters reported that extortionists using the name “Armada Collective” had threatened Taiwanese brokerages with DDoS threats. Several of the brokerages experienced legitimate attacks following the threats; however, 2016 saw several campaigns leveraging the Armada Collective name where the threats were completely empty. One campaign generated over $100,000 in payments despite researchers not finding a single incident where a DDoS attack was actually made. A portion of the extortion email sent to the owner of Alpha Bookkeeping Services in Port Elizabeth, South Africa, in September 2016. Extortion is also frequently tied to data breaches — both real and fake — as it is an another simple and direct avenue for cybercriminals to monetize stolen data. In January 2017 the E-Sports Entertainment Association (ESEA) was breached and the actor demanded a ransom payment of $100,000 to not release or sell the information on 1.5 million players. That is what reportedly happened to many of the victims who paid ransoms to have their hijacked MongoDB and other databases restored: they found themselves out both the data and the ransom payment. As noted in our report, it’s hard to have faith in cybercriminals, and organizations who do pay ransoms should be aware that in many cases those actors may not follow through after receiving extortion payments. For more information on extortion threats and how to keep your organization safe, download the free report: The Extortion Epidemic: Fake Threats on the Rise as Ransoms and Blackmail Gain Popularity.